Pgh Momtourage: Are you a Mr. Roger's fan? Are you a Mr. Roger's fan? Free public tours of Mister Rogers’ Neighborhood of Make-Believe are scheduled for Saturday and Sunday, November 7 and 8 from 9 a.m. to 5 p.m. in the Fred Rogers Studio at WQED Pittsburgh thanks to sponsorship from The Children’s Institute of Pittsburgh. Those taking the tour will see original Neighborhood of Make-Believe set pieces including: King Friday XIII’s Castle; “X” the Owl and Henrietta Pussycat’s Tree; Curator Lady Elaine Fairchilde’s Museum Go-Round; Cornflake S. Pecially’s “Rockit” Factory; Grandpere’s Eiffel Tower; Dr. Duckbill, Elsie Jean and Ana Platypus’ Mound; and a small replica of Daniel Tiger’s Clock. The original clock currently resides at Saint Vincent’s College in Latrobe, Pennsylvania at the Fred Rogers Center for Early Learning and Children’s Media. Children will also have the opportunity to participate in artistic activities designed by Mister Rogers and Family Communications, Inc. (FCI) including coloring Neighborhood character bookmarks and pages. While supplies last, those in attendance will receive complimentary refreshments as they leave the Studio including Glaceau vitaminwater. A chocolate bar will be handed out to guests courtesy of Sarris Candies. Fred Rogers’ “You Are Special” books and the 2003 commemorative issue of Pittsburgh magazine’s tribute to Fred Rogers will also be distributed in limited quantities. Free parking will be available at Central Catholic High School located at 4720 Fifth Avenue, Pittsburgh, PA 15213 next door to WQED. Central Catholic’s parking lot is accessible via Neville Street off of Fifth Avenue. Street parking will also be allowed on Fifth Avenue. Parking at 4802 Fifth Avenue in the WQED visitors’ lot will be reserved for those with accessibility needs and is located on the left side of the building. For those coming on Port Authority buses, the 71D and 500 busses stop in front of WQED. All guests will need to enter through WQED’s main entrance located in the front of the building on Fifth Avenue and will have to wait in line for access to the Fred Rogers Studio. 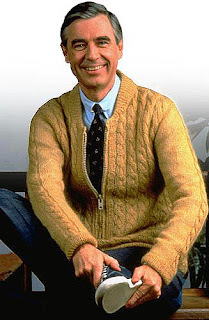 In advance of the tours, WQED is asking the public to send their favorite memory of Mister Rogers’ Neighborhood. 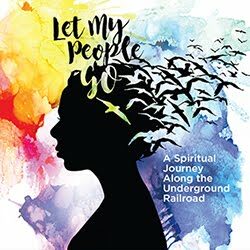 Those who wish to submit memories will need to obtain and provide a signed release along with their submissions to WQED by Monday, October 26. If viewers wish to receive their materials back, they will need to provide a self-addressed stamped envelope.